With so many alternative wellness treatments available it’s sometimes hard to keep up. 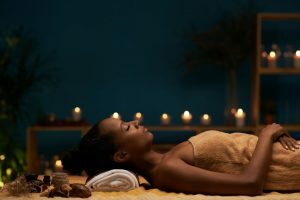 One such treatment, the lymphatic drainage massage, is a technique known for its ability to detoxify the body. But what is it, exactly? Where does the “drainage” go? And is it really effective at detoxifying the body as so many enthusiasts claim? Let’s take a closer look at lymphatic drainage massage. The lymphatic system is made up of vessels, nodes, and lymph glands. It also contains “sacs” with pores that gather metabolic waste. The tonsils, spleen, and thymus, for example, are all parts of the lymphatic system. However, unlike the heart, the center of the body’s other circulatory system, the lymphatic system doesn’t have its own pump. As a result, it relies on the breath and other movement to drain lymph. For most of us, the body is perfectly capable of draining itself. But sickness, poor diet, lack of physical activity, and other issues can compromise the system, resulting in a need for assisted lymphatic drainage.